Hes tough on crime and hates stairs this is the new tooled up ED-209 from upcoming reboot of 'RoboCop.' Ed was revealed in this viral campaign video showing off OmniCorp products and giving a brief look at the new furtre of law enforcement. Directed by Jose Padilha, RoboCop is about to enter production with a cast that includes Joel Kinnaman, Gary Oldman, Samuel L. Jackson and Hugh Laurie. 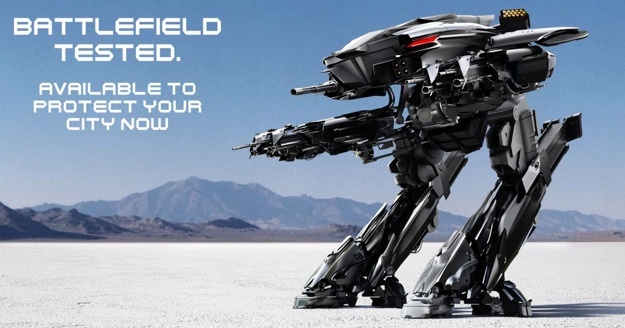 'RoboCop' has a August 9, 2013 release.